Pet insurance, like most other insurance, is not there for the routines, like vaccinations, neutering, worming or flea treatments. It is there to cover the cost of the unexpected. It is also invaluable to cover the on-going costs which result from a diagnosed long-term disease, such as diabetes. The alternative to an insurance policy is simply finding the money to pay for the unexpected yourself – a road traffic accident, fall, or illness that can develop with age, such as thyroid or kidney problems – which can run literally into thousands of pounds. If you own multiple pets, or are on a fixed income, this could prove disastrous. Charity coordinator Rose Atkin says: “If I didn’t insure my animals with Petplan I wouldn’t have half of them now. Certainly the more animals you are responsible for, the more sense it makes to insure them against the sky-rocketing costs of emergency surgery or ongoing veterinary care. I personally never want to face the decision of having to put a much-loved pet to sleep because of financial constraints. I can’t think that anyone who loves their animals would”. So, if you do decide to insure, which policy is best? The important thing to remember is that most cheap annual policies do not include payment for any chronic or recurring conditions that last into the following year(s). And, once your pet does have a medical history, insurance companies require you to declare ‘pre-existing conditions’ which will then not be covered on a new policy. Even age-related problems like arthritis could be blamed on a previous condition, like a fracture. What an annual policy does cover is a new condition or a new accident, but often only up to the renewal date of the policy. You should also ensure you check the small print, such as the excess, duration of cover, any exclusions, and payout limits per condition etc. 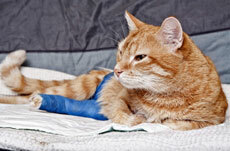 The charity, and Rose personally, would always recommend Petplan’s Covered for Life policy. It is renewable every year and, importantly, claims for the same conditions can be continued up to the stated payout limit. A few others also offer a Lifetime policy, but the charity has no experience of these, so do check whether the limit is per year, per condition, or is a limit for life. If you would like to insure your pet with Petplan you can do so through the charity and receive 4 weeks’ insurance FREE. 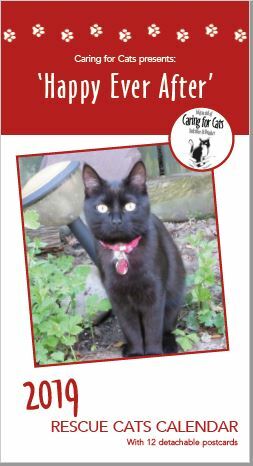 Please contact the Homing Centre on 01430 872612 to find out how.